This table lamp comprises a total of 8 glass spheres. 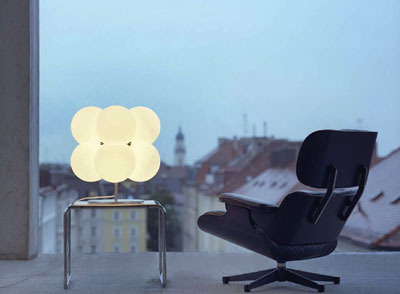 The Molecular Cluster lighting system illuminates architecture in an innovative and aesthetically pleasing way. The cluster of light is made of glass spheres which appear to hover in space. Beautiful to look at, even when not lit!